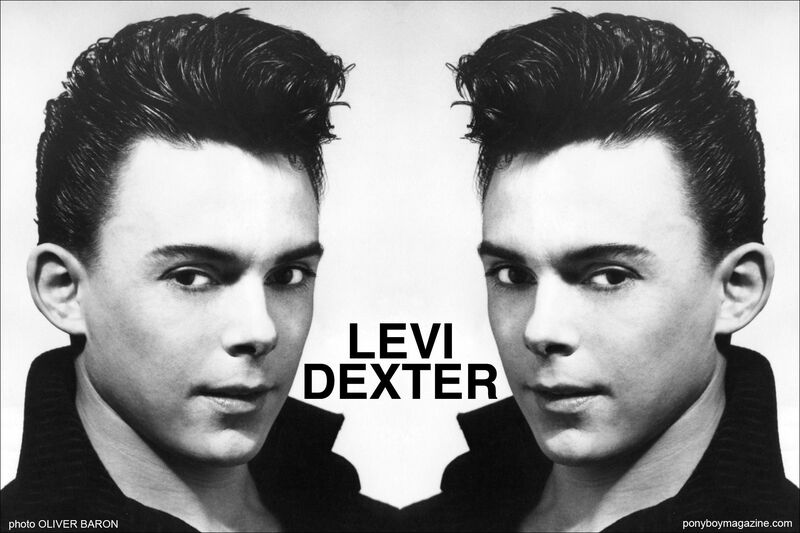 PONYBOY: Hello, Hideki. 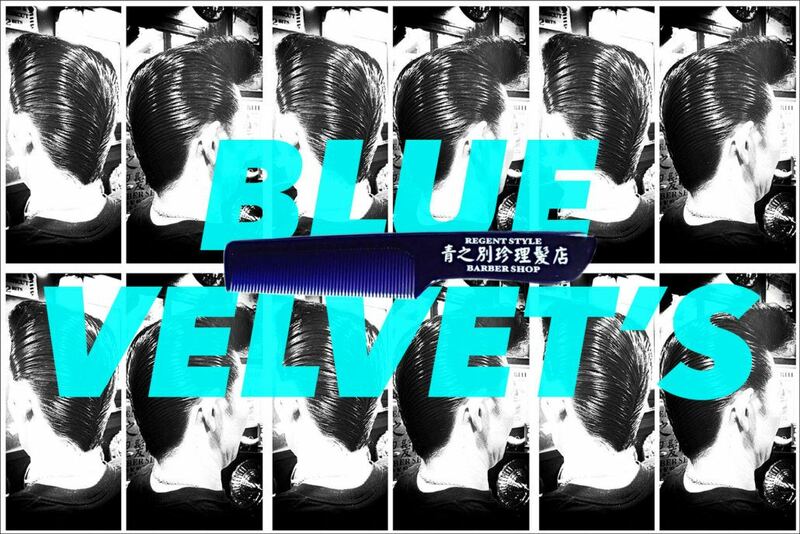 We really love the images from your Blue Velvet’s barber shop social media. Please tell our readers where you are located and how many years your shop has been in business. HIDEKI KAKINOUCHI: Thank you for your kind words! 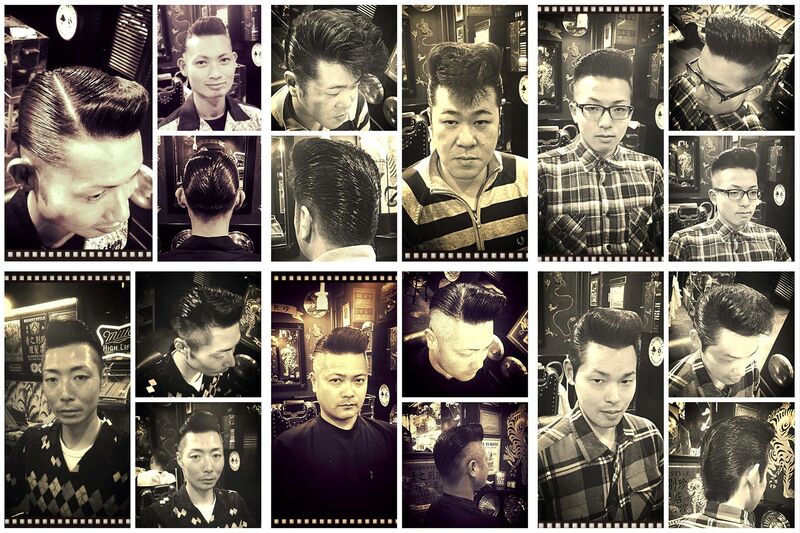 I take a lot of photos of my customers. The before/after transformations are pretty drastic at times! We are located in central Hiroshima, Japan and have been operating since 1990. 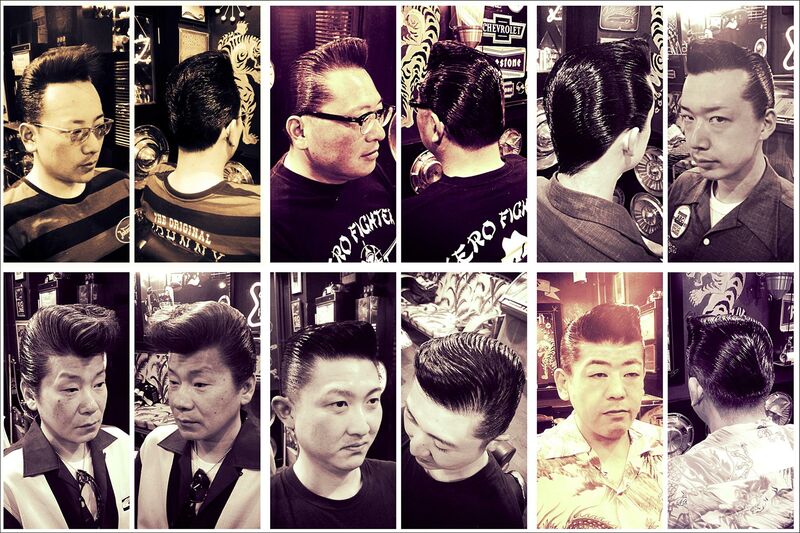 PONYBOY: Tell us about your background with cutting hair. HIDEKI KAKINOUCHI: I went to school to learn about the trade when I was 18. 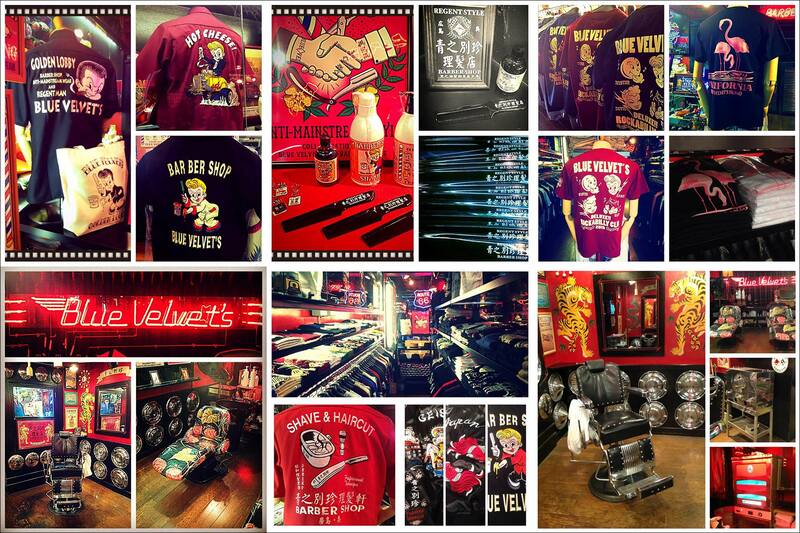 After graduating, I got a job in a regular shop. 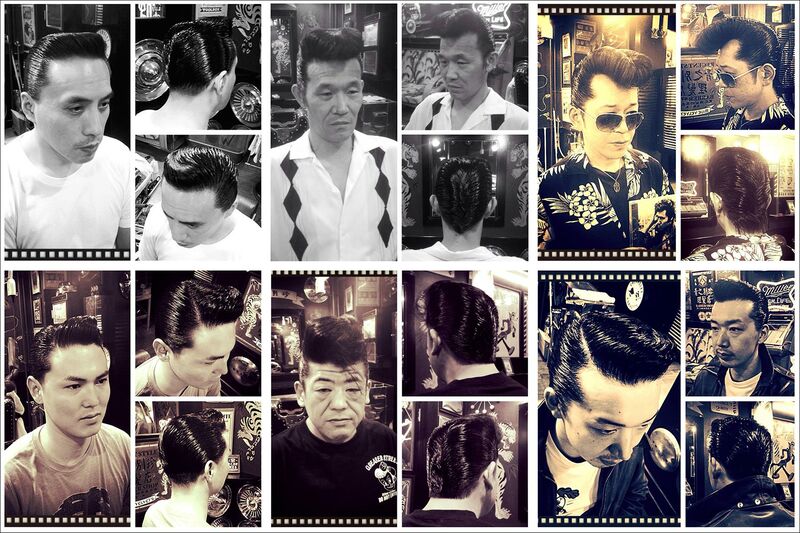 However, I was interested in old-style haircuts, so I started researching about the techniques that were used to do these kinds of cuts. 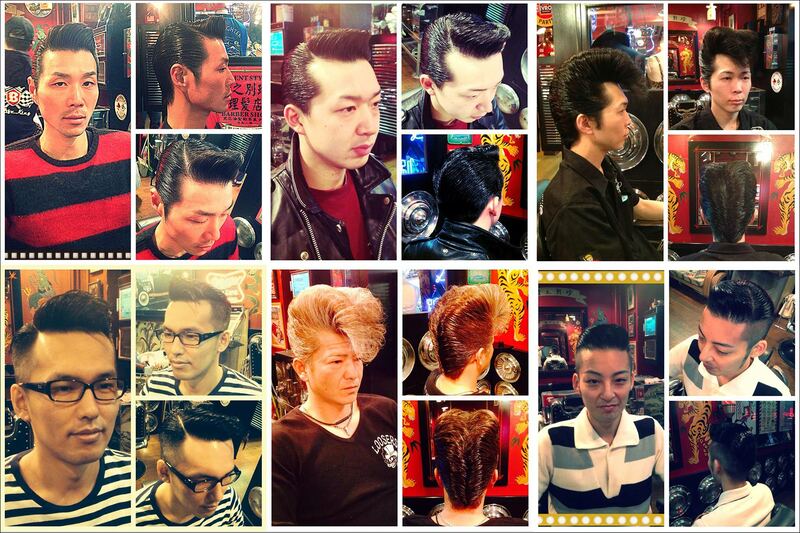 As I learned more about these styles, I was amazed at the unlimited number of variations and options for hairstyling. 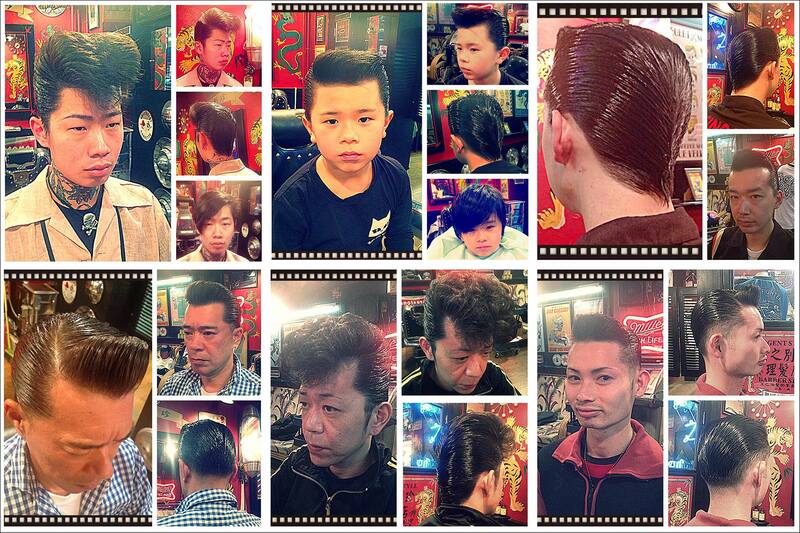 At the time, there weren’t many shops that specialized in that kind of haircut, so I decided to start my own shop. 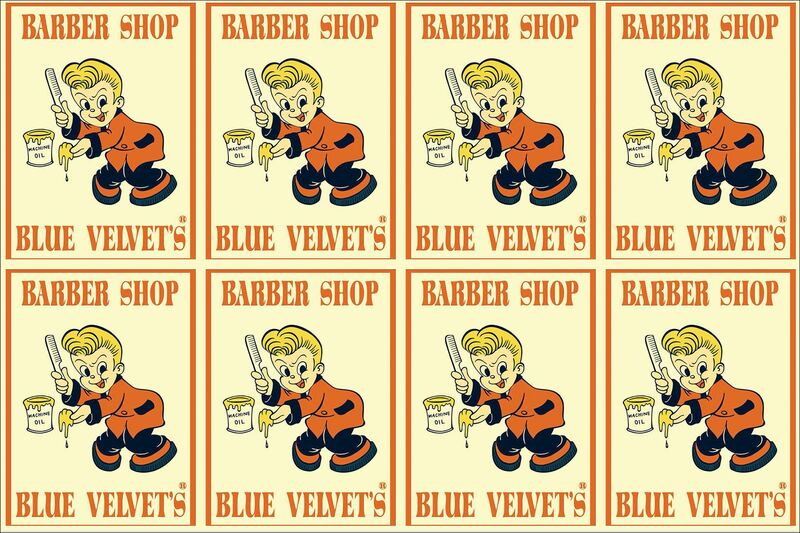 PONYBOY: Your barbershop is very specific. 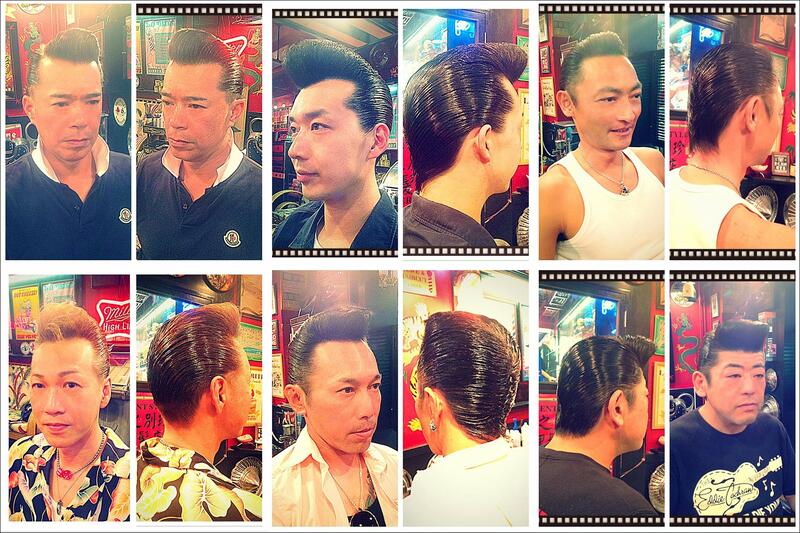 Do you primarily only specialize in 1950s pompadours? 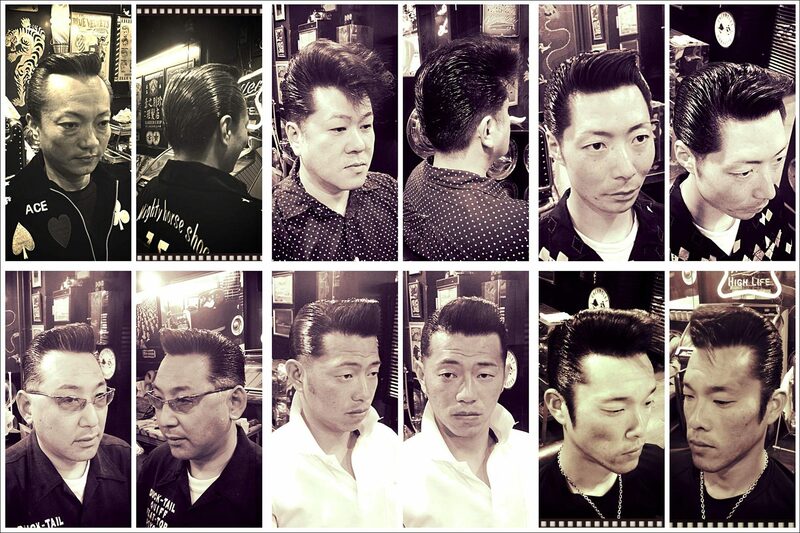 HIDEKI KAKINOUCHI: Yes, I specialize in pompadours, but I can do all kinds of cuts to match the needs of a broad range of customers. 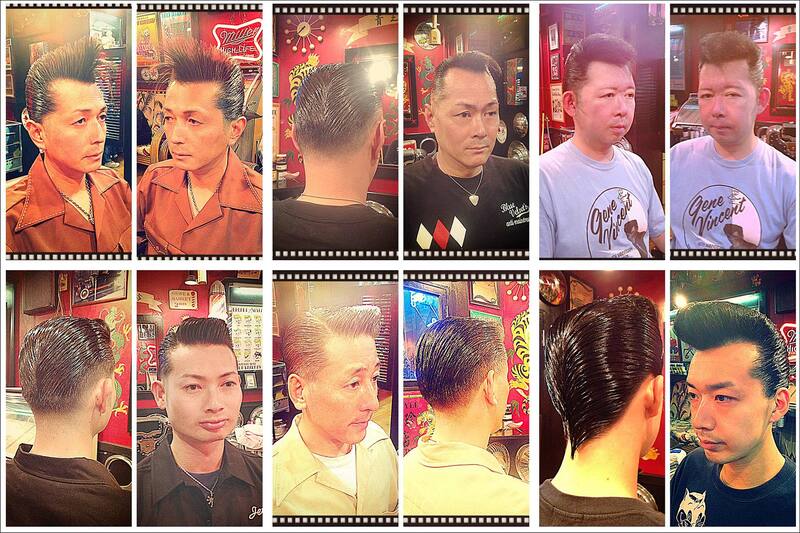 People from all over Japan visit my shop, and even some customers from overseas come to my shop especially to get me to cut their hair. 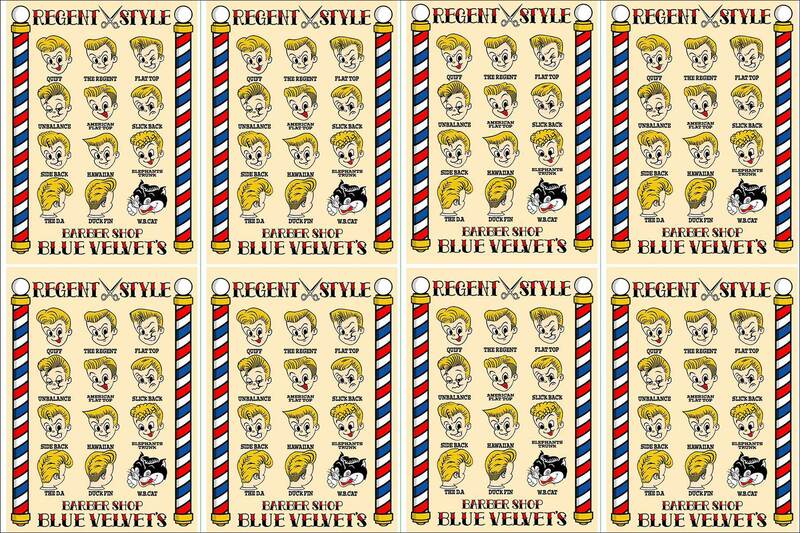 PONYBOY: Is there a certain technique that you use when cutting to achieve the Blue Velvet pompadour? 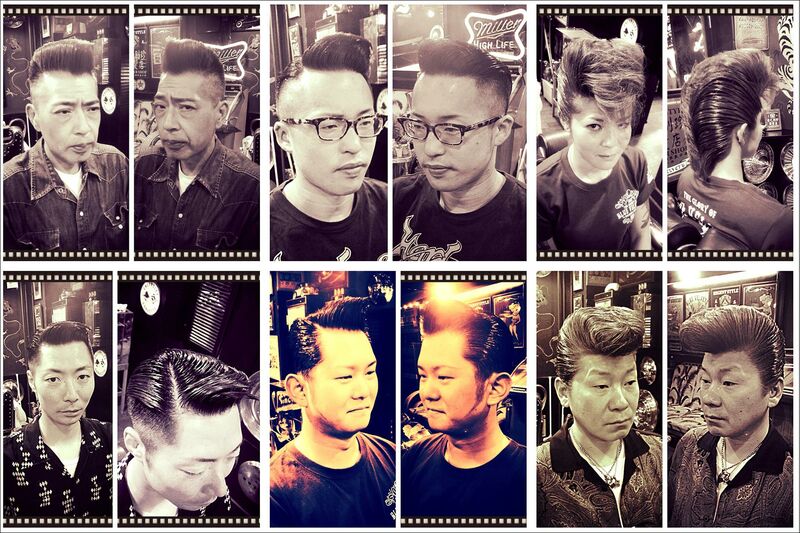 HIDEKI KAKINOUCHI: I use an original self-taught electric cut style which results in a shine that is difficult to duplicate. 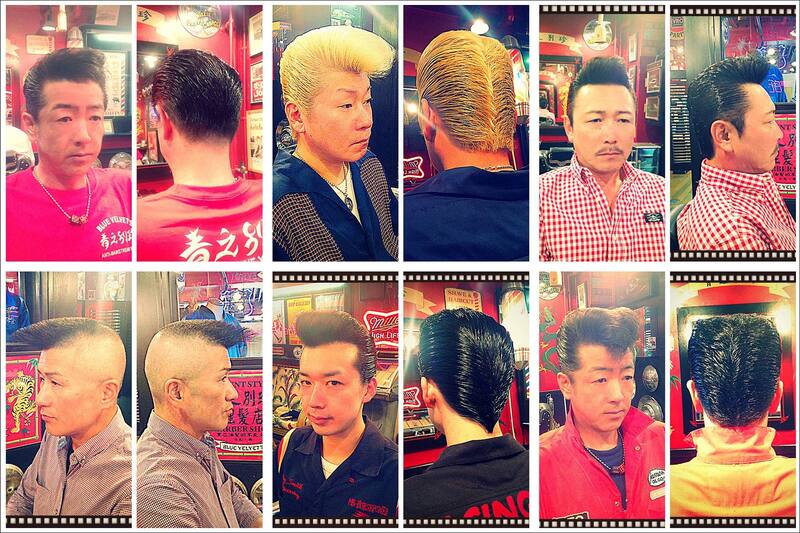 There are probably only 4-5 guys in Japan that can do this. The photos that you see on my SNS sites are taken with an iPad camera and no special lighting or editing is done. 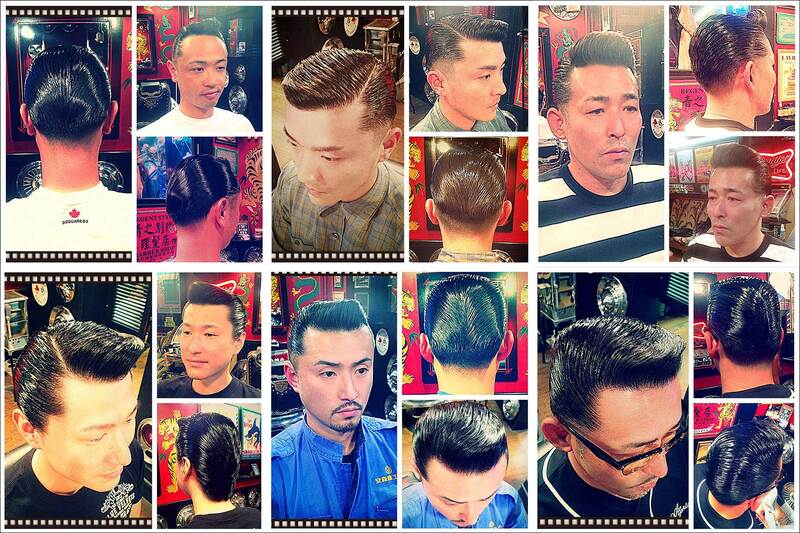 I cut hair in such a way that customers can style it themselves at home the next day. Come here someday and I’ll show you how I do it! 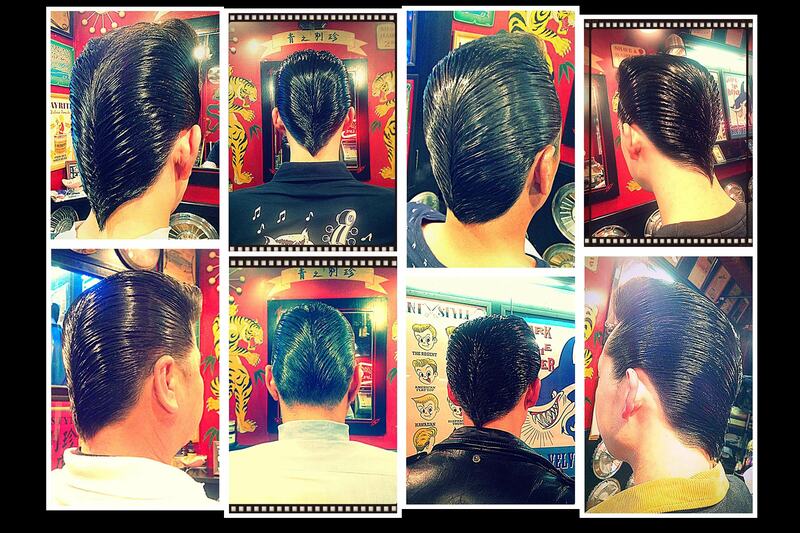 PONYBOY: What about pomade? 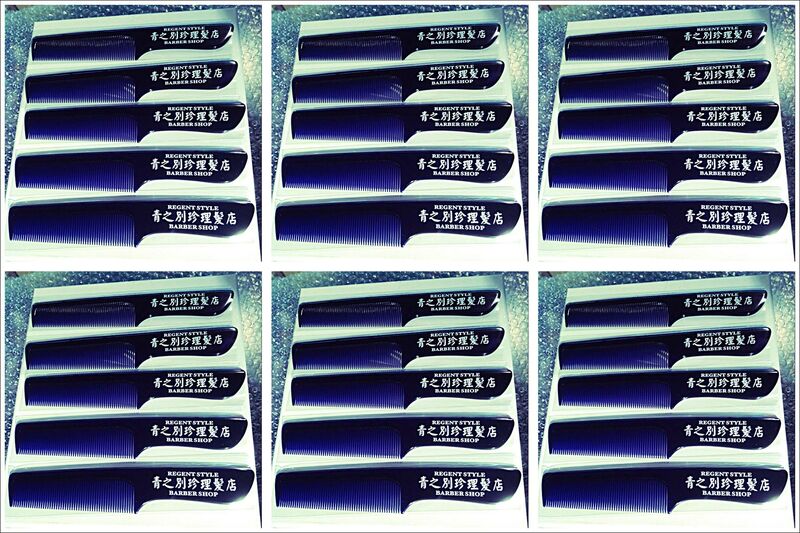 Which do you recommend to achieve the best height and shine? 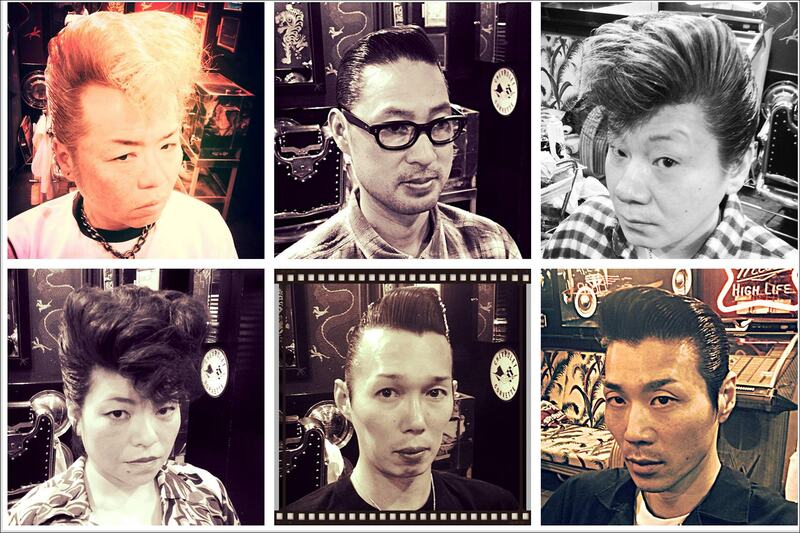 HIDEKI KAKINOUCHI: I use Layrite and Reuzel a lot. 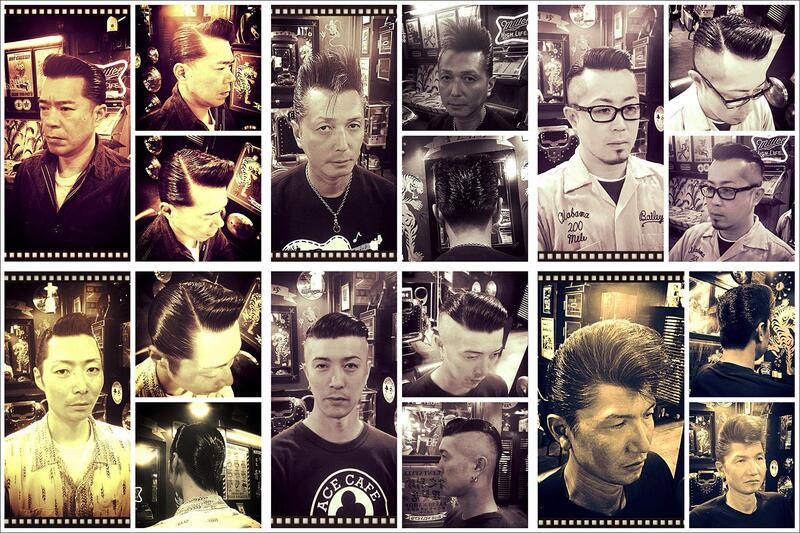 PONYBOY: How many barbers do you employ at your shop? HIDEKI KAKINOUCHI: Two. I run the shop with my son. 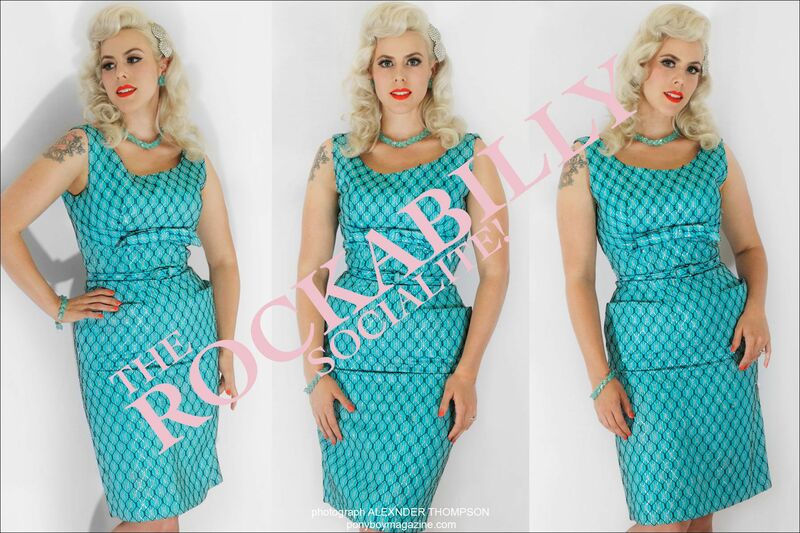 PONYBOY: How long have you been into the 1950s rockabilly lifestyle/aesthetic? HIDEKI KAKINOUCHI: I’ve been into this culture since I was a high school student. 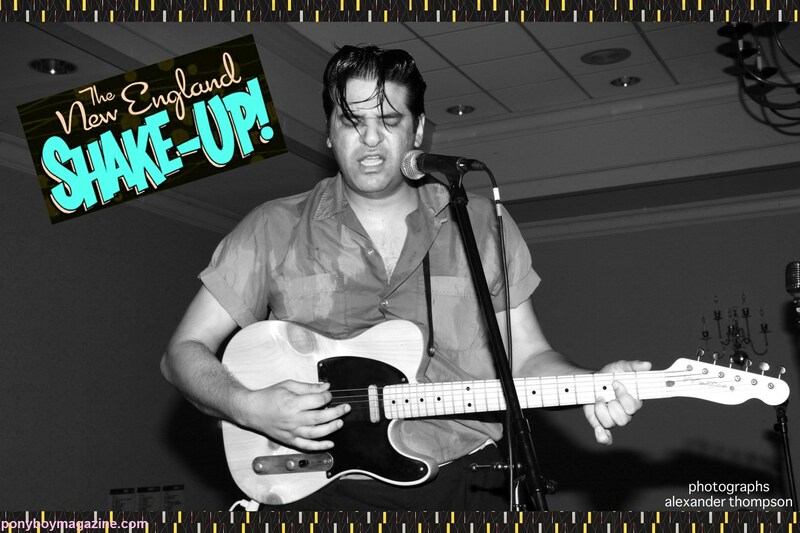 PONYBOY: What is the rockabilly scene like in your area? Is there a following? 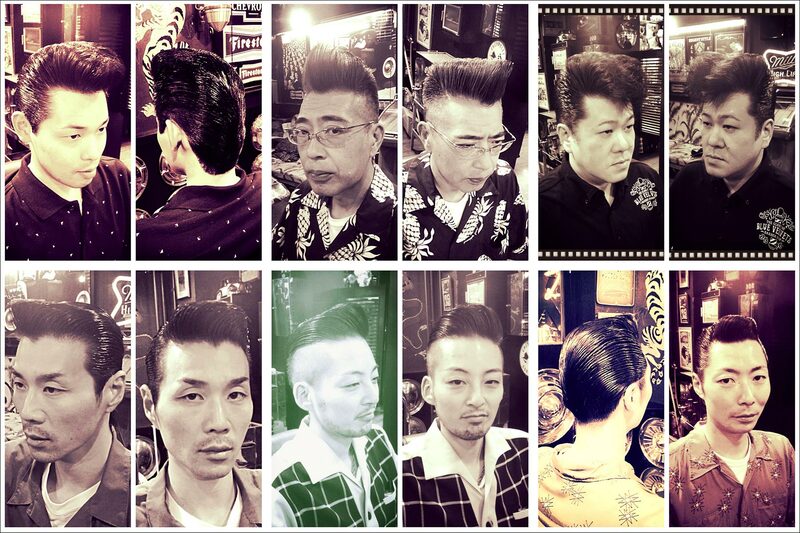 HIDEKI KAKINOUCHI: The culture itself is not that popular, I don’t think, but there are a good number of people who have the pompadour hairstyle. 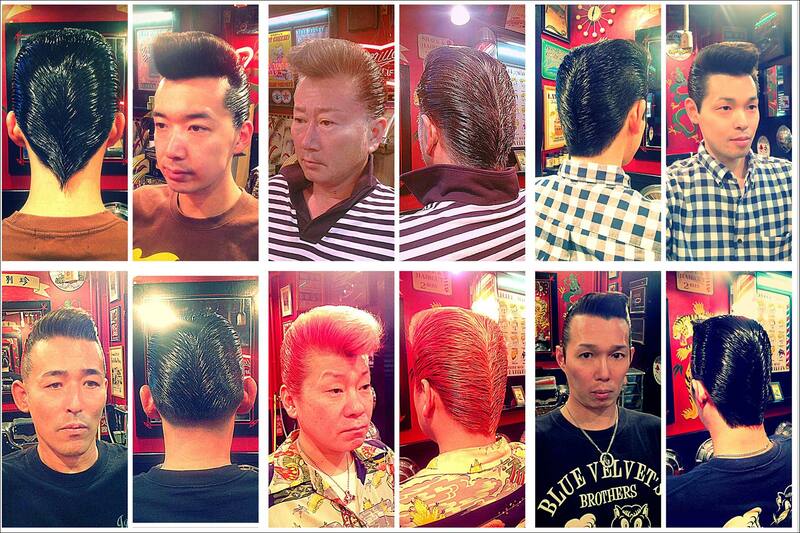 PONYBOY: We’ve visited the Pink Dragon rockabilly store in Tokyo. 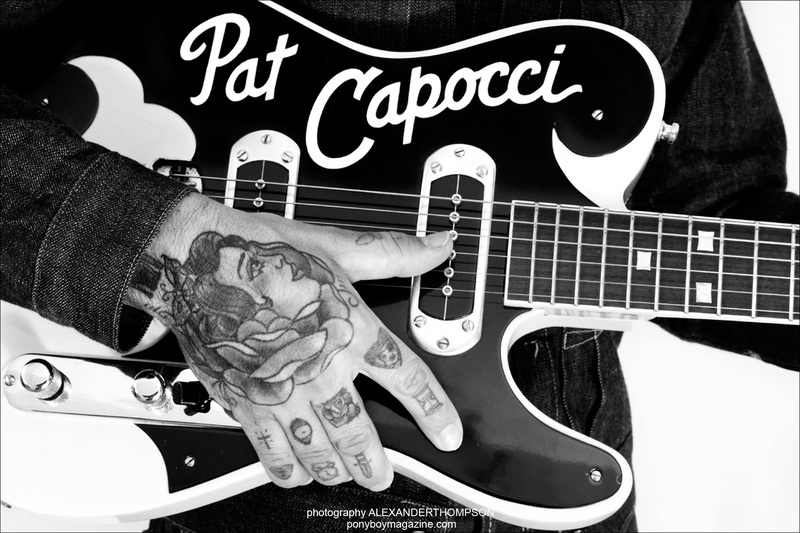 Are you a fan of this business? HIDEKI KAKINOUCHI: I’ve been there many times. 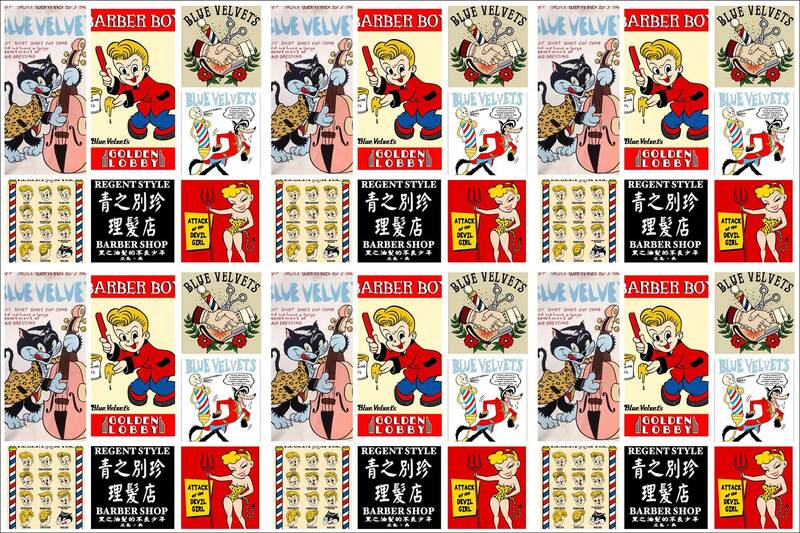 The store owner was truly a pioneer of spreading rockabilly culture in Japan. 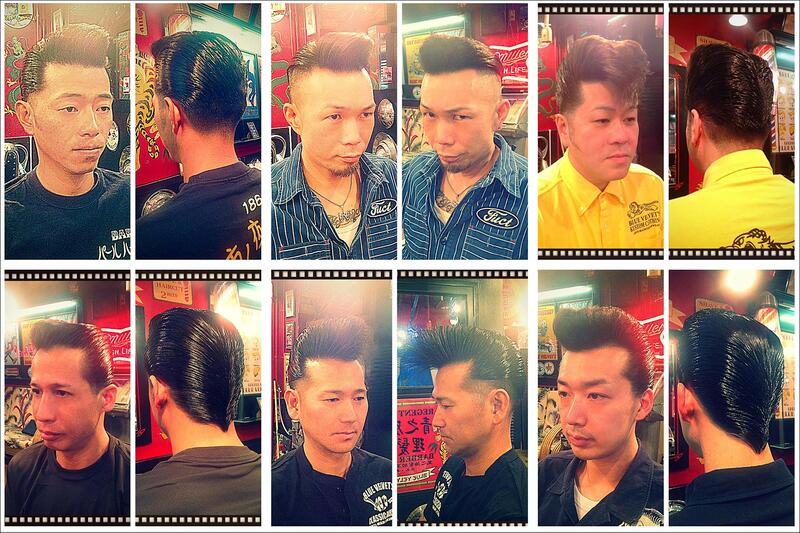 PONYBOY: And please tell us your opinion of the Tokyo Rockabilly Club scene in Yoyogi Park. 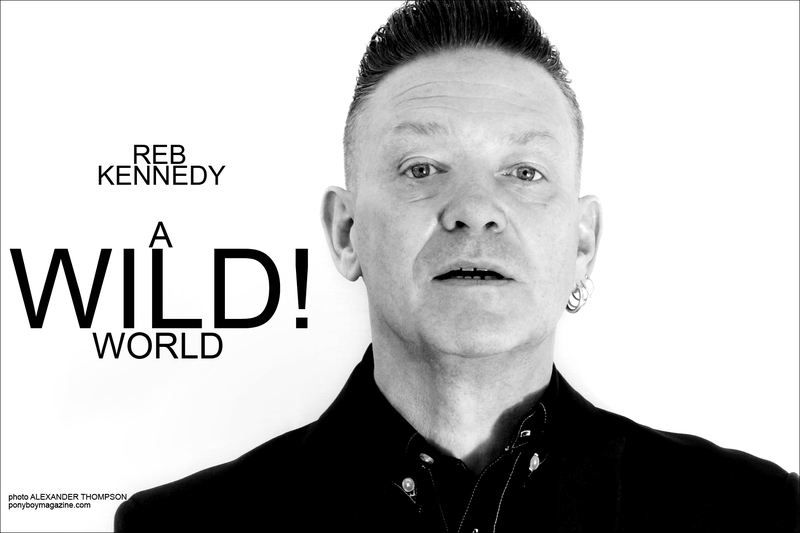 We are very intrigued with it, but have never been. Is this sort of a tourist thing? 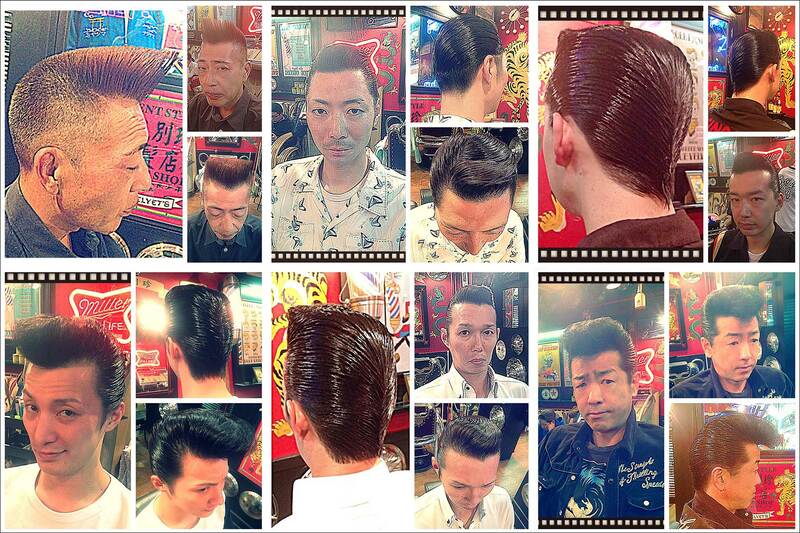 Or would you say it’s authentic Japanese rockabilly? HIDEKI KAKINOUCHI: I don’t know much about that scene, but I’ve been to Yoyogi Park a few times. I don’t think it’s a tourist thing. I think they are just having a good time. It’s been going on since the 80’s, I think. 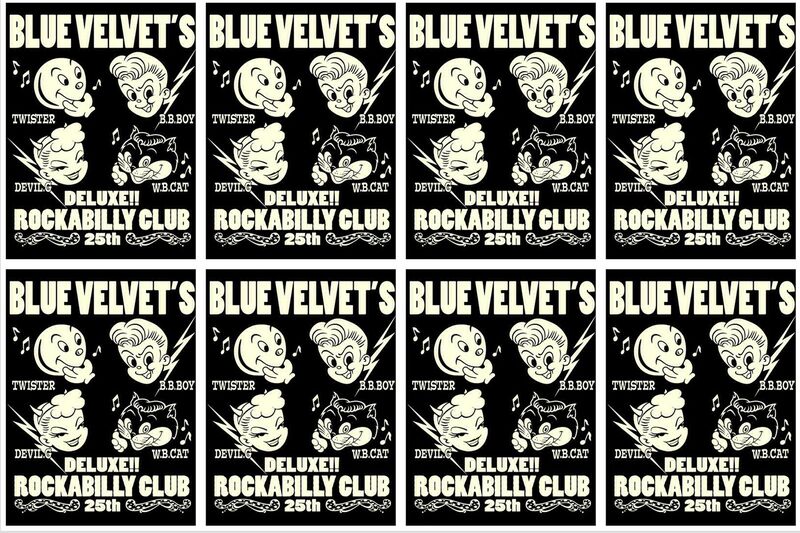 PONYBOY: Does Blue Velvet’s ever do any of the rockabilly weekenders, like Viva Las Vegas. etc.? HIDEKI KAKINOUCHI: About 20 years ago I used to do events every three months or so. I’m getting older now, so it’s tougher to do events, unfortunately. PONYBOY: And finally, tell us what films and music inspire Blue Velvets. HIDEKI KAKINOUCHI: American Graffiti, Streets of Fire (I used to own one of the cars, a 1950 Mercury that appeared in the film), The Outsiders, and Rumble Fish to name a few. 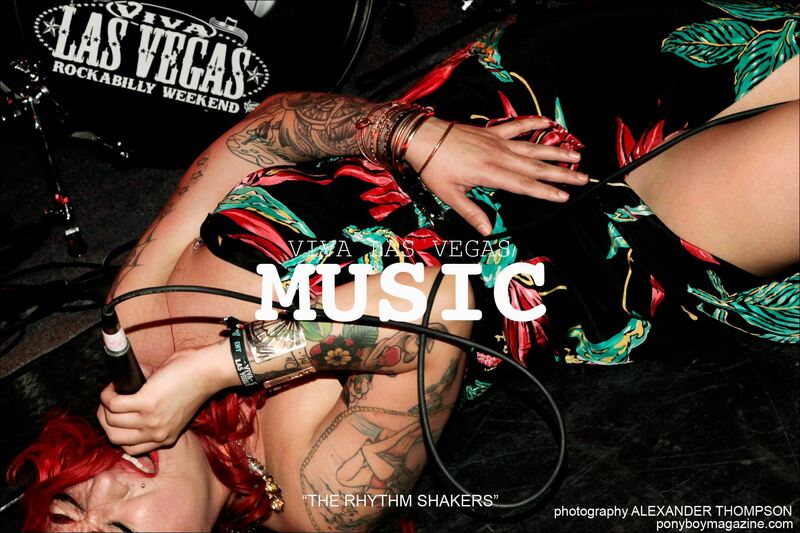 As for music we usually play Neo-rockabilly in the shop. I think it completes the experience for my customers.